Are you ready for a training program that is fun AND effective? A class that you can look forward to attending and leave knowing you got in a killer workout? Then you're going to love our StrikeFit training at S.I.C.A MMA in Gonzales. Build for clients of all ages and ability levels, StrikeFit classes will help you burn hundreds of calories in just one hour and push your body like never before. 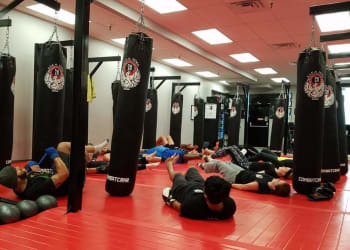 This isn't your typical Kickboxing program.It's a cutting-edge training system that combines elements of self-defense, fitness training, and strength building - all into one package. StrikeFit is changing the way people train because it's introducing fun into the equation and it's keeping students more motivated than ever. AND The Best Part Is, StrikeFit Is Great For Everyone! You don't have to be an elite athlete to enjoy all the benefits of our StrikeFit Classes in Gonzales. We train students of all ages and experience levels and we can't wait to show you just how effective these classes can be. Conditioning/Body Challenge: Focus is on all around physical conditioning with the utilization of Battle Ropes, Kettle Bells, Medicine Balls, Agility Ladders, etc. Gear Requirements: Shoes for running (required, as you class may involve running or jogging outside, or other outside activities). Are you ready for a fresh approach to your training? Get started with the innovative StrikeFit system right here at S.I.C.A. 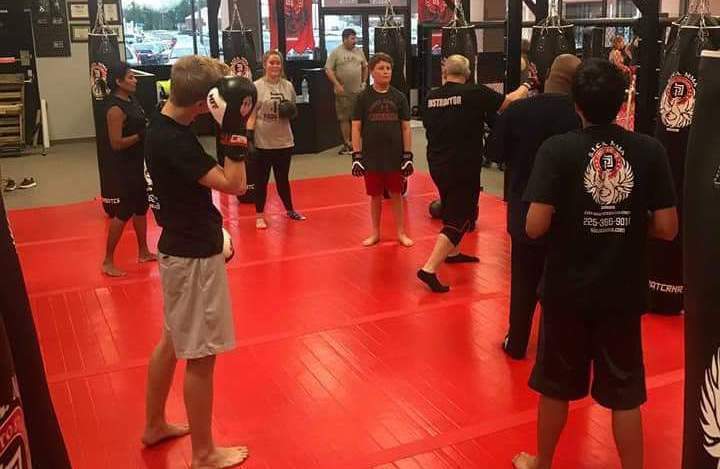 MMA in Gonzales. We'll change the way you think about working out.